Learn to combine well the clothes with these tips. We know how important it is to always be at the top of your list so that you look like a fashion expert follows these recommendations. We also have some tips for men. How many times have you asked yourself ‘how to combine the clothes in my closet’? Let’s start with the essentials, the basic garments that both women and men should have in their wardrobe, and that by mixing them together they will achieve classic styles, clean and suitable for any time. White shirt: it is an essential classic in every person’s wardrobe. This will take you out of trouble in any situation, be it formal or informal, day or night. A black dress and a white one: these are essential. Ideally, they reach the knee so that it can be used both day and night. Jeans: women’s jeans are other classics. Have two or three in blue tones. These, like the white shirt, will get you out of trouble because they combine with everything. Dress pants: you can not miss in black, gray and navy blue. These basic colors will favor the compatibility of the pants, ideal to take to work or meetings. Dress skirt: a black pencil skirt to the knee is important to have it. It will serve to take them on formal occasions if you do not know how to dress. High heels and ballerinas: both types of shoes look great with skirts and pants, whether they are long or short. The heels are recommended in black with a height of more than 5 centimeters, and the flats or ballerinas have black, red and navy blue. Blazer: this garment can be worn with jeans or dress pants, or with a skirt. Black, white and navy blue are the basic colors to start the collection of blazers. T-shirts: that summer garment is fine with any outfit, as long as you know how to combine them. Having a trio of these in black, white and navy blue is a good choice. 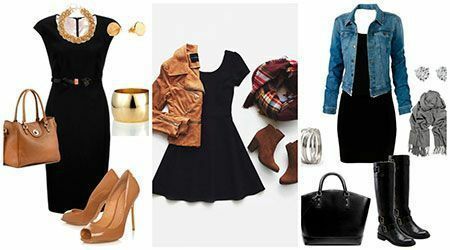 Black jacket: it is part of the classic feminine wardrobe. Have it in black to favor its combination with other colors. Sneakers: you can have them in the color you prefer. White is very fashionable. White shirt: as you see, this is a basic unisex. And for a man, it gains more importance. Acquire several with different types of collar and sleeves. Blazer: another piece that women and men share. Navy blue is the right color for men who like to go to the office with a casual style. 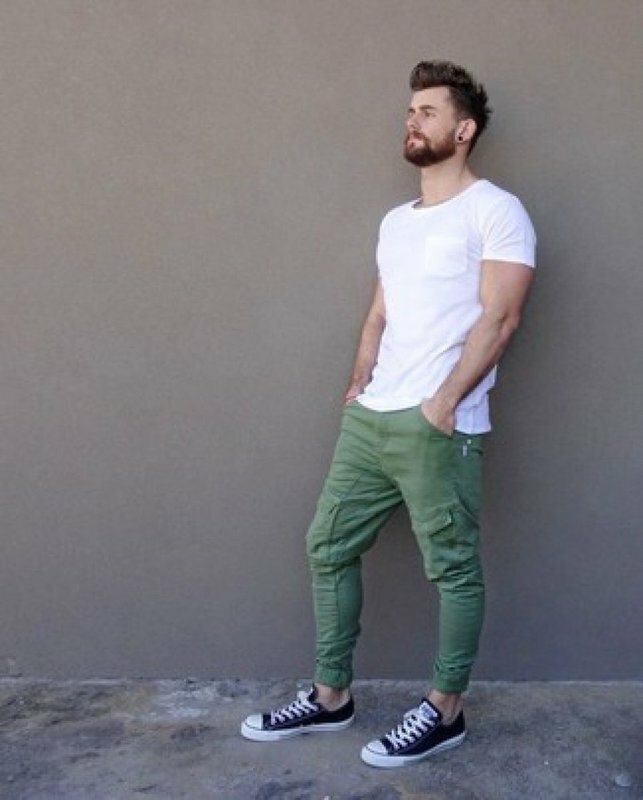 Pants: Men should not skimp on investing in a collection of jeans that includes both jeans and clothing and all other models in different fabrics. Belt: that in your closet there are never missing as many belts as the colors of shoes you have: black, brown, white, navy blue, etc. Shoes: an attractive focus on men are their feet with good shoes. The sports, a plain Oxford, moccasins, nautical, casual boots, a pair of shoes monks and sandals are some of the essential shoes for a man. Learning to combine the clothes you wear will be an easy task if you familiarize yourself with the chromatic circle, the meaning of the colors and give free rein to your imagination. You are in an era where prohibited combinations of colors are in vogue. The color is the first element to consider. How to combine the colors in the clothes? Make combinations according to the chromatic circle, memorize the primary and secondary colors, to dress always modern. Part of these two fundamental rules. Monochromatic: combines garments of the same color or shades of the same color palette. Like lead-gray and black, brown and beige, light blue with dark blue. Contrast: if you are a little riskier, try daring combinations where the color of each piece is opposite with the other. The blue king with the orange, the yellow with the purple, the green with pink tones, etc. They are called neutral colors or jokers and are indispensable in the cloakrooms. They combine very well with most colors and with each other. You can use black in important events, it is also advisable to use it as a complementary color to highlight the tone of another color. By combining white with any color of the color palette you will get an infallible look, sophisticated and seductive. Perfect to get a navy (nautical) look, combine it with white. Blue is another essential color in the wardrobe because you can use it together with reddish tones, gray and beige. Browns are the most difficult colors to combine. In these cases, the recommendable thing is a monochromatic dress where you combine brown with beige or warm colors like mustard, yellow and orange. Another color that puts us on the head for its combination is green in its different shades. When we see it at once, it occurs to us to mix it with white or black, and that’s fine. You can also try brown or beige. And for more daring outfits, combine it with purple, pink, orange or yellow. Large prints provide volume, so these do not favor people of coarse texture or those of short stature. Small prints cause the opposite effect. If you want to look taller, bet a piece of Vichy type big paintings with another contrast. But, if you want to thin your figure, use a Harris, a garment of small pictures, with some other than the same color range. Vertical stripes stylize the body and bring elegance; while the horizontal stripes give the illusion of adding kilos to those who wear them. Polka dots or moles are a classic. Choose those with the small dark background to look thinner, or choose those with a light background or large polka dots to add volume to your silhouette. Previously mixing the prints was a terrible mistake when dressing. Nowadays it is not like that anymore. Now you can mix the stripes with the flowers, the flowers with the polka dots, the polka dots with the pictures, or whatever else you like. Yes, dare, you get very original and modern looks. Of course, take care not to overcharge yourself. With two types of prints enough. Combine black with dark shades such as brown. Abuse the animal print or wear more than three prints. Avoid combining white with pastel colors. Although it looks good, it is to wear it with dark colors. Shoes, belt, wallet, and jewelry of the same color. This decision should no longer be present when we get dressed. You do not have to carry all these supplements in tune, the uniformity is no longer in use. Combine only three colors at most. We have finished with the guide so you can learn to combine the clothes well.